Summer temperatures have alfresco dining calling your name, and we bet you’re feeling a little parched. Since most restaurant patios don’t come equipped with a pool for you to dive into (if yours does, add us to your reservation! ), the best way to cool off during your summer restaurant visit comes in a frosty glass, set to the tune of clinking ice cubes – summer drinks! Though classic, citrusy “boat drinks” like margaritas, daiquiris and lemonade get most of the attention, there are plenty of other exciting ways to quench your thirst this summer. We’ve compiled a few of our favorites for you to sample below – bottoms up! The details: Tea is everywhere in restaurants this year, and the summer is no different. This refreshing (and healthy) summer drink has endless varieties, from cool traditional black tea to iced green teas. Iced tea can also be flavored with your favorite fruit. Check the menu for everything from blueberry and orange to raspberry and peach varieties. Order it with: Iced tea is a beverage that can seamlessly pair with just about any meal. It’s a cool, refreshing summer favorite that complements chickens and pastas as well as burgers, sandwiches and Asian cuisines. The Details: This drink is popular at markets in Thailand and can be found served in a tall glass at Thai restaurants. It includes Thai tea, or black tea, served over ice and flavored with sugar and condensed milk. For an extra sweet treat, make it into a float by adding two scoops of vanilla ice cream! Order it With: The sweet creaminess of Thai iced tea makes it a perfect complement for spicy flavors. Order it with Thai cuisine, or other spicy dishes. The Details: The Arnold Palmer, or “Half & Half” is part iced tea and part lemonade. This popular summertime sip is named for famed American golfer Arnold Palmer and can be found most restaurants thanks to its common ingredients. Order it With: Perfect for a summer lunch, the refreshing Arnold Palmer pairs well with a club sandwich, burger or salad. The Details: The Michelada is a Mexican creation similar to a Bloody Mary that some believe cures hangovers. Mexican beer, like Modelo or Tecate is combined with lime juice and tomato juice and served over ice with a salted rim. Like a Bloody Mary, this cocktail can be dressed up with hot sauce like Tobasco or Cholula, Worcestershire sauce, soy sauce and spices. Order it With: Believed to be a hangover cure, the Michelada goes well with brunch fare, but it also pairs nicely with Mexican cuisine like tacos and tostadas, as well as grilled meats like steak. The Details: This beer-based beverage is agreat option forlemonade lovers who are looking to change it up. Like an Arnold Palmer with beer instead of iced tea, this cocktail calls for part beer and part lemonade and is served over ice. Some versions also mix in vodka for an extra kick, so ask your server what yours includes. Order it With: This cocktail goes well with foods you’d typically pair with a Sauvignon Blanc, like fish, sushi, cheese, pasta and asparagus. The Details: Fancy, refreshing and bubbly, the French 75 is a 100-year-old cocktail making a tasty resurgence this summer. It combines champagne, gin, lemon juice and sugar. The Details: Beers turn lighter in the summer to give drinkers a cool, refreshing element to their brew. Summer brews are the antithesis of their rich, dark winter counterparts: light with a clean taste and a bitter, hoppy or fruity flavor, often adorned with a slice of fruit. Lemon and lime are the most common, but check your menu for strawberry, grapefruit and peach beers, too. 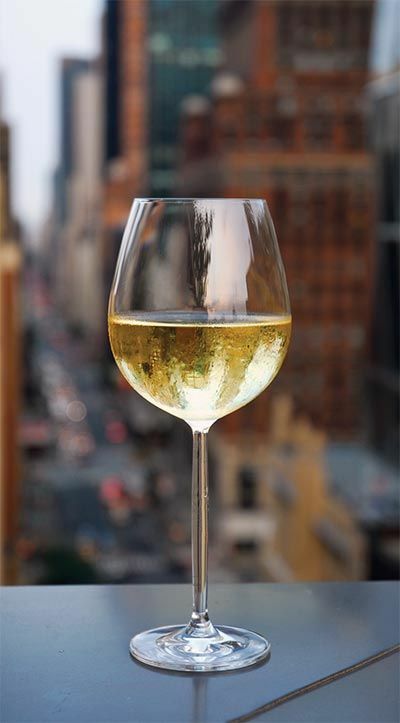 The Details: Warmer weather calls for light, crisp wines served chilled. This year, we’re seeing more Rosé varieties, which are a blend of red and white, as well as sparkling wines like Prosecco and Cava on menus. Other traditional summer wines include Sauvignon Blanc, Zinfandels and Rieslings. Order it With: Try summer whites with fish tacos, grilled salmon, prosciutto wrapped asparagus and cheese dishes. Rosé pair nicely barbecued meats like burgers and ribs. Sparkling wines pair well with salty items like chips and fries, as well as seafood and pastas. The Details: These cocktails were designed to be enjoyed poolside somewhere tropical, but have made their way onto menus at restaurants across the country thanks to their widespread popularity. Look for margaritas, which are a blend of lime juice, tequila and triple sec served with a salted rim; daiquiris, which are a blend of rum, fruit (like lime or strawberry) and sugar; and mojitos, which include rum, sugar, lime, mint and sparkling water. Order it With: All three of these drinks go well with the bold spicy flavors of Mexican, Cuban and Latin cuisines like Colombian and Brazilian fare.Try them with fajitas, carne asada and other steak dishes, fish tacos or a Cuban sandwich. What are your go-to summer drinks? Tell us in the comments below, or start your search for a restaurant serving these cool cocktails near you!